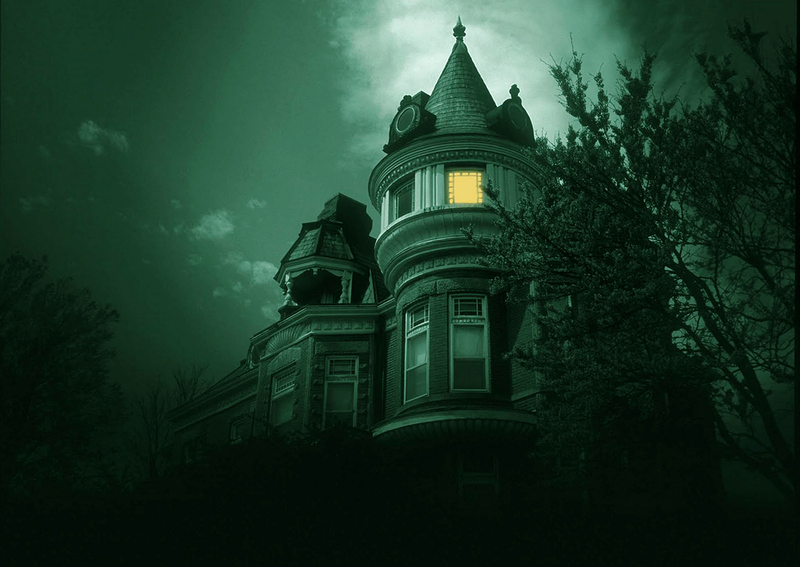 Take a self-guided tour of one of Atchison’s most majestic haunted houses. This self-guided tour allows visitors to explore the 1889 McInteer Villa at their own pace. Don’t miss this opportunity to explore one of the most picturesque haunted homes in the country. You can pick up your ticket the day of your tour at the Santa Fe Depot, located at 200 S. 10th St. You may arrive at the home any time during your designated tour time, and you must show your ticket to enter. *This is a walk-thru tour, NO ghost hunting equipment permitted. Cell phones and cameras only. Interested in an overnight tour? Click here. Tours are every Saturday in September and October, plus the first Saturday in November. 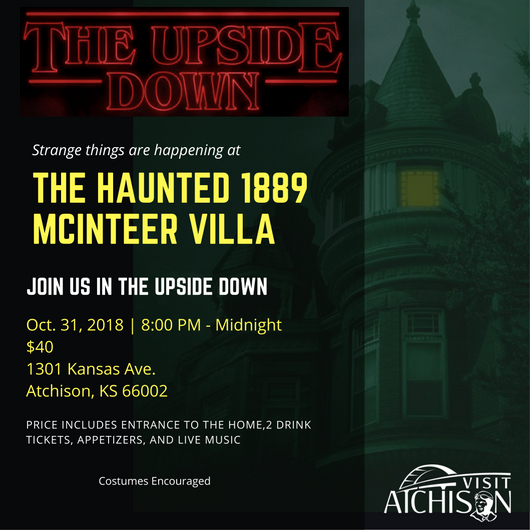 *By purchasing a ticket you accept all liability and hold harmless the City of Atchison, the Atchison Chamber of Commerce and the McInteer Villa.